Rabbi Eli Ben Dahan asks the public to pray for Jonathan Pollard, who is in poor health. Deputy Religions Minister, Rabbi Eli Ben Dahan (Jewish Home), has asked mebers of the general public to pray for the recovery of Jonathan Pollard, who was hospitalized and underwent an operation, following the deterioration of his medical condition. 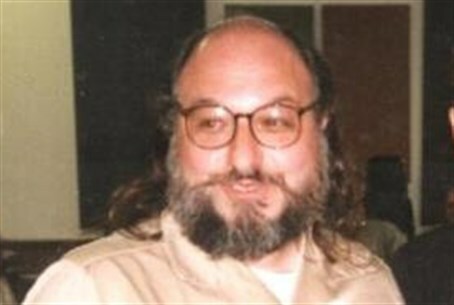 Rabbi Ben Dahan suggested Psams 121 as the prayer for Pollard, who is currently serving his 29th year in jail, after being convicted of spying for Israel. I raise my eyes to the mountains! Where will my salvation come from? It will come from G-d, who created the heavens and the earth. Your protector will not let you stumble, nor will he fall asleep. See, the protector of Israel doesn’t doze or sleep. G-d is your protector, there at your right side to shade you from the sun. You won’t be smitten by the sun during the day or by the moon at night. G-d will protect you from all evil, He will guard your soul. G-d will protect you in your comings and goings, now and always. Two weeks ago, about 1,000 people, including Knesset Members and other public figures, took part in a protest to free Jonathan Pollard outside the US Embassy in Tel Aviv. Esther Pollard, Jonathan's wife, said: “This is our first official Pollard demonstration in front of the US Embassy and G-d willing, this will be our last. Today, after nearly 30 years in prison, there's no one who doesn't know that Jonathan's sentence is grossly disproportionate and absolutely unjust. Indeed, many senior American officials are now supporting and calling for Jonathan's immediate release, whether as a matter of justice or as a humanitarian issue. In Israel there is wall-to-wall consensus. Former CIA Director James Woolsey recently reiterated his call to release Pollard. Woolsey noted that the time Pollard has served already is unprecedented for the crimes he was convicted of; namely, spying for a US ally. In the shady world of espionage, even friendly nations spy on each other, he pointed out - an argument Israeli leaders have made particularly ardently since revelations late last year that the US was spying on its closest allies, including Israeli Prime Minister Binyamin Netanyahu. "The US has had friends and allies spy against it throughout its history," he said. "We have imprisoned South Korean-Americans, Greek-Americans, Filipino-Americans for spying on the US... they stayed in prison for a few years... two or three years, in one case close to 10 years - but that's all, not close to a quarter of a century!"